Today Romney proposed to cap itemized deductions at $17,000, as a way to pay for his cut in personal tax rates. This is not sound tax policy, as it would complicate the code, and likely require a number of exemptions and other loopholes. For instance, how would legitimate business deductions be dealt with? Which ones are legitimate? However, it would raise revenue, primarily from high-income earners. The latest IRS data (2010) indicates that 47 million itemize, and the total amount of itemized deductions is $1.2 trillion. 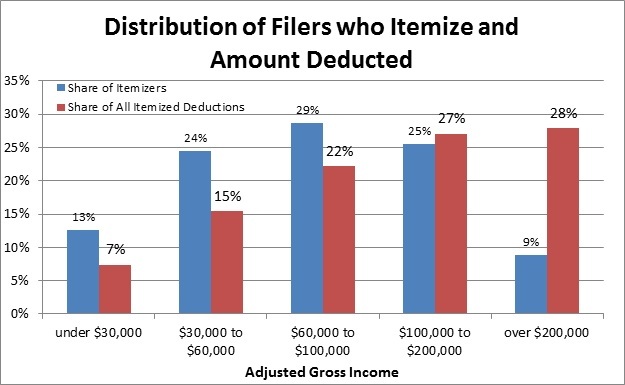 As the charts below show, most itemizers are middle-income earners, but most of the dollar value of deductions is at the high end. 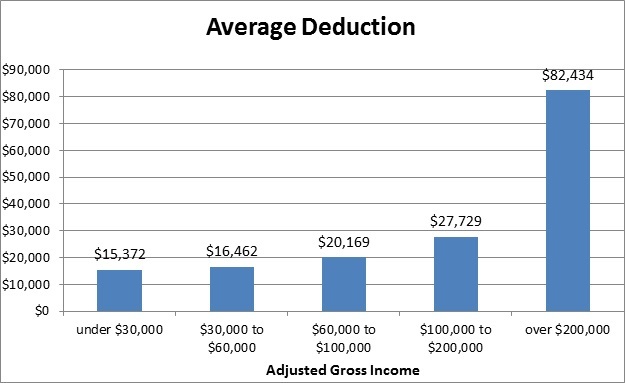 The average deduction is $26,084, but among those itemizers earning over $200,000 the average deduction is $82,434. If all those high-income earners’ deduction were capped at $17,000 it would make taxable an additional $270 billion. If that income were taxed at the top rate of 35 percent it would generate $94 billion in revenue. However, that is optimistic, and surely much of that income would suddenly go into hiding. It would also wreck the economy. We need more clarity about this proposal, but so far it sounds like an invitation to lobby for exemptions. It would be better to eliminate entirely certain wasteful tax expenditures, while lowering rates.